Perception and its Development in Merleau-Ponty’s Phenomenology (henceforth Perception and its Development) is a volume of fifteen papers from different authors, each addressing the most significant (or at least the most explicitly addressed) topic of the philosophical path of Maurice Merleau-Ponty, that is perception. Each chapter focuses on a specific subset of philosophical issues related to perception, all of them initially addressed by Merleau-Ponty in The Phenomenology of Perception (henceforth the Phenomenology). Perception and its Development has two strikingly original aspects. First, although the authors use ideas thematized by Merleau-Ponty in the Phenomenology as guidelines for their expositions, their understandings of these ideas are not limited to this context. Rather, the authors commonly enlarge the scope of their analyses beyond the Phenomenology, tracking conceptual developments through Merleau-Ponty’s later works. This strategy both offers us a different and broader perspective on the Phenomenology, and opens the door to new hermeneutical possibilities of this work that are unexplored in other companion readers. Secondly, while the authors do considerable hermeneutical work to reach this wider perspective, they do not subject us to extensive commentaries of Merleau-Ponty’s original texts. Instead, they usually appeal to more contemporary problems in diverse areas of philosophy, science, arts, and even politics, a method that unveils through demonstration the similar approach used by Merleau-Ponty in his work to the philosophical problems of his concern. The fifteen chapters are separated in four sections. The logic behind the section divisions, the editors claim (8), is to reproduce the progressive advance made by Merleau-Ponty in the Phenomenology, from the most basic aspects of our perceptual experience (i.e. our practical engagement with the environment as individuals), to the most complex contexts where our perception is at work—namely, in arts and politics, those activities proper to human culture. Despite the general similitude in the organization of Perception and its Development with the Phenomenology, the structure of this volume also displays a very different order of exposition. For instance, Perception and its Development begins by explicitly addressing the questions of passivity, intersubjectivity, and even freedom—all subjects that are addressed much later in the Phenomenology. This new order has both negative and positive consequences. The fact that there is no detailed account of the notions of “perception” and “the body” in the context of Merleau-Ponty’s Phenomenology before deeper consequences of this phenomenological approach (especially those in later periods of his philosophy) are addressed may prove a real challenge for the novice reader of Merleau-Ponty’s philosophy who, without first being lead to the proper conceptual clarity, may find themselves confused by claims made in Perception and its Development. Nevertheless, the alternative would be to follow the less original path already taken by most companion readers to the Phenomenology. In a positive light, then, the reordering of the topics of the Phenomenology, together with their integration with his later accounts of expression (a fundamental aspect of his post-phenomenological period) and his unfinished ontology highlights the pertinence of Merleau-Ponty’s philosophy for addressing the ongoing philosophical concerns on particular aspects of perception like intersubjectivity. Given their depth and complexity, a detailed description of the ideas posited in each chapter surpasses the scope of this review. In what follows, I shall summarize the main proposals of each author, focusing on the four conceptual divisions of this book. Part I is titled “Passivity and Intersubjectivity” and deals explicitly with these topics, but it quickly becomes clear that freedom is also a crucial concept for immersing ourselves in the question of passivity in our perceptual lives. In chapter one, John Russon describes the act of (paying) attention as an act of freedom. This freedom is, however, not to be understood as the independent will of our minds (25), but as an act shaped and constrained by the organic nature of our bodies, the physical conditions of the environment, and, fundamentally, our engagement with others in shared projects (28-29). This is because our perceptual attention exhibits the capacity of our bodies to be responsive to particular conditions of the environment that call for a specific set of actions (i.e. bodily skills) on particular features of the environment, which appear as possibilities for action or affordances (30). This responsiveness of the body is generated through a process of habituation (31), but the normative process of habit acquisition is importantly determined by the intersubjective dimension. This is because the plasticity of the world and of the body is not enough to establish the necessary conditions for the criteria of adequateness needed to make our bodies responsive to worldly situations (32). Work and communication are described by Russon as further expressions of our freedom in human contexts (35-36). In chapter two, we find a more detailed description of the nature of the interrelation of the body and the environment in what Maria Talero calls experiential workspace. This experiential workspace describes “the enactive coupling of bodily and environmental potentialities” (45). That is, the space where the bodily skills and the affordances of the environment are related. In this regard, the attunement of the body and the environment, in Talero’s metaphor, is like catching the rhythm of a piece of music when we dance. It is by understanding the rhythm of music in my body that I am able to coordinate my body movements with those of my partner, and effectively dance (49). In chapter three, Kym Maclaren employs two further concepts to improve our understanding of the body/environment entanglement: institution and emotion. In Merleau-Ponty’s later work, the notion of institution clarifies how the body, the world, and their interrelation are not set in advance of their actual interaction. Maclaren names this process an entre-deux dialogue between an embodied being and the environment (52). The open-ended nature of the body-world entanglement, become stabilized (instituted) in a narrative form (56), like a story that help us to understand where something comes from (its past), but also, by setting the orientation of its future developments, where something is going, thus establishing “a matrix for future elaborations” (56). Maclaren offers three examples of institution: artistic expression, perception, and emotion, the most intriguing of which is the latter. Emotions, such as the love described by Merleau-Ponty in his lectures of Institution, are not psychological states of individuals, but the very relation through which two people are entangled (66). The expressive behavior of the other (their gestures, words, and actions) shapes the way I open toward them, and vice versa, such that the realm of emotion institutes a way of being with the other, a “binary rhythm” (66). Maclaren draws on an example of this from Merleau-Ponty’s essay “The Child Relations with Others,” (in The Primacy of Perception) in which a child needs to reconfigure his emotional relation with his family after the birth of a new brother. Essentially, this child needs to “institute” a new form of interrelation with his family, given the loss of his position as the youngest son. This process of institution is possible only when the child reestablishes the equilibrium of the interfamilial relations (69). Maclaren’s descriptions of emotions working as institutions of our relations with others preludes the central idea of chapter five, in which Susan Bredlau shows that perception may involve the active role of others as a form of incorporation. Merleau-Ponty argues in the Phenomenology that a blind person using a cane to navigate, given their habitual use of it, may incorporate the tool to the sensibility of their body. Likewise, for Bredlau, our perception extends its reach by involving the active participation of other people (82). An incorporation, Bredlau explains, involves a new form of sensitivity: the use of the cane is not the transformation of tactile experience in vision-like experience. Rather, it entails the acquisition of a new form of spatial navigation. Thus, “both perceiver and perceived take on new identities” (82). Bredlau distinguishes three types of scaffoldings based on other people incorporations: placement, engagement, and handling. The first type concerns the role of others drawing the paths of movement; the second refers to the influence of other people in constraining the possible actions that can be afforded in particular situations; and the third involves their participation in the development of the bodily skills necessary to function in such situations (95). In part II, “Generality and Objectivity” the focus is turned from the most basic layers of our immediate perceptual experience of and ability to cope with the world to what gives to perception its “general” or even “objective” character, that is, that we naturally experience the world of perception as an independent reality given the stable structures of our perceptual field. In this regard, Kristen Jacobson, in chapter five, focuses on the virtual dimension of the body (the set of bodily skills learned by the body in his developmental path to cope with the environmental conditions) and the establishment of spatial orientation in what Merleau-Ponty names spatial levels (the meaning of the situation that is revealed through “calls,” or possibilities for action, corresponding to the acquired bodily skills) (103). From this perspective, Jacobson addresses the case of spatial neglect, a condition where people, having suffered brain damage, are incapable of moving one side of their bodies, and equally incapable of explicitly perceiving this same side in their visual field (104). In Jacobson interpretation, patients neglect one side of their visual fields because, while their “habitual” body (the body as structurally instituted in the past) is able to perceive the actual set of affordances in the environment, their actual bodily capacities, given their new physical condition, impede their ability to adequately respond to this environment such that they are no longer capable of making sense of this part of their visual field (113). They have lost the capacity to actualize their body/world relation—a condition that is similarly analyzed by Merleau-Ponty in the Phenomenology, in cases such as that of Schneider (111). Thus, what is at stake in this condition is the incapacity of their lived bodies to create new spatial levels by actualizing the relation between their actual bodily skills and the present environmental conditions, a capacity we normally possess, and through which we adapt ourselves to the ever-changing realm of worldly situations (115). The nature of the constitution (or institution, in the proper vocabulary of Perception and its development and of Merleau-Ponty’s late philosophy) of these spatial levels and the habitual body is a temporal process that Don Beith describes in more detail in chapter six. The crucial step of this chapter is to highlight that the habitual body grounds its own stability through movement. As it has been argued in the previous chapters of this volume, the body “learns” to respond to situations by establishing patterns of movement, or motor habits, in developmental time (127), which are seen to be physical constraints on the scale of evolutionary time (128). The differences between the living bodies of humans and octopuses provide a good example of the peculiarities of movement and the institution of their bodies. Octopuses do not possess joints like us, their bodies are quite flexible. Joints, however, are fixed points of articulation that enable the opposition of different parts of our body and support further sequences of movement and patterns of locomotion. Since an octopus lacks these joints in its physical body, it needs to create the fixed points in its own patterns of movement—that is, in moving, it creates its own joints (126). By contrast, we have joints that certainly constraint the flexibility of our limbs, but at the same time increases the possibilities of movement for our whole body. Thus, paradoxically, the reduced flexibility of our limbs increases the range of freedom of our bodily movements (129). An interesting comparison between perceiving and learning to read is made by Beith at the end of this chapter. Beith believes that we learn to read by writing, and only understand the meaning of read words by also being actively engaged in the motor task of speaking and writing (135). 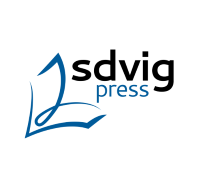 Although the editors say that the second part of Perception and its development would directly deal with the concepts of generality and objectivity in perception, it is not until chapters seven and eight that such concepts are explicitly addressed. In chapter seven, Moss Brender turns our attention from the perceptual realm of lived space to the perceptual experience of objective space, and in particular our perception of things. Drawing on two of Koehler’s experiments with chimpanzees, both quoted by Merleau-Ponty in the Structure of Behavior (his first important philosophical work), Moss Brender argues that chimpanzees do not possess the capacity to understand the localization of a thing in space if this localization is not relative to the motor actions of their own bodies (145); they remain attached to the present demands of a given situation (147). Humans, by contrast, are capable of understanding the position of things by virtually positioning their own body as if they were occupying the position of the thing, thus possessing a “mobility of perspective” (149). The key to understand the difference between lived and objective spatiality is the exercise of symbolic conduct (150): a sort of second order capacity, a second power (152), that turns the habitual motor significances into explicit or thematic objects of our experience (152). Moss Brender further describes how space has a crucial temporal dimension. On the one hand, space, as grounded in the developmental nature of the body, has an unfixed meaning that is open to the constant changes of that body. On the other hand, the meaning of space cannot be reduced to the activity of this body since space also involves a general or impersonal dimension that precedes the very existence of any-body (154). Hence space has a meaning or a particular orientation before the birth of my body, such that my body and the space it accesses is inherited by a past that is general, like its “evolutionary history” (154). Therefore, the space in which the body participates, the general space embodied by the orientation of the general past, is a tradition or an institution (155), but one that cannot be made fully explicit insofar as it transcends every possible individual body. In chapter eight, David Ciavatta explicitly approaches the subject of time, and in particular its generality. He argues that, although our notion of time as an objective dimension of the world is rooted in the lived time of the embodied subject, it is the cyclical nature of time that gives it its generality, which does not correspond to any particular experience, but makes all of them possible. Essentially, the cyclical nature of the organic aspects of our bodies (such as breathing) and of natural events (such as day/night patterns) engender an attitude of indifference in experience of any particular moment of these cycles (161). Nonetheless, there is a discontinuity within this generality that makes these recurrent patterns identifiable as episodes of an even more general (or continuous) time, just like this present moment is part of the present day of the present week, and so on. (172). These temporal episodes, always nested in broader cycles, do not represent a simultaneous happening of all of them at once (173), but a disintegration of cycles into more general fields of presence (174). However, since the generality of time is grounded on the existence of individual cycles, each episode of time has an individuality that makes it unique in the general field of time (175). In this regard, any experiential subject has a limited duration marked by the start of their own birth. The time before their birth cannot, nonetheless, be experienced by them, though it can be experienced by someone else. The experience of natural cycles has the same historical or episodic feature. Consequently, the world has its own duration, its own history, its own episode, that is also part of a more general time. But here, we face a level of generality that cannot be lived by anybody—that is, the world has a past that has never been present, and this reveals some sort of natural a priori of time (177). Part III, “Meaning and Ambiguity,” addresses the eponymous themes in terms of perceptual experience. In keeping with the question of time, David Morris, in chapter nine, lead us deeper into the question of how the temporally open-ended relation of living beings and the environment grounds the emergence of meaning. Morris’s metaphor of “balancing” is helpful in understanding Merleau-Ponty’s description of meaning as something “never fully present” for a subject, but instead present only as a temporal phenomenon of expression and institution. Although “balance” might be “represented” as a point in the idealized space of Newtonian physics, this “point” is actually unreachable in the temporal unfolding of the world. This balance, though, still might be considered as real if we consider it as a phenomenon of time—that is as balancing (201). Briefly, the balancing movement might be oriented towards an optimal state of balance, but this optimality depends on the forces already at work at any particular moment of the movement (such as gravity, momentum, inertia). Thus a balancing object moves towards this never fully given point of balance (its future) that carries on its past (the preset of the dynamic forces) (201). The establishment of (spatial) levels exhibits the same characteristic of balance in terms of the body. The habitual response of the body to the call of different situations is guided by a norm that is not fixed or set in advance of the actual history of embodiment and enactment of the space of any particular situation (198). However, in this latter case, the past of the body is not only the immediate past of its movement, but also the stable structure of the past represented by the habitual or virtual body, and the actualization of his actions when coping with the present conditions of the environment (199). This same phenomenon occurs in perception, where significant changes take place at the level of the stable structure of the environment (200). Finally, to understand the logic of perceptual development, in this normative sense, Morris turns our focus to the questions of expression and institution in Merleau-Ponty’s philosophy. Basically, Morris argues that perception is an expressive act that involves the generation of new meanings through an institutional process (203). Perception articulates new levels by generating new optimal points of balance (meaning), from the already given forces (the instituted past) in its encounter with the present. However, since this expressive act generates a never fully given meaning, the indeterminateness of meaning leaves room for the institution of new meanings (205). This indeterminateness, however, possess a directedness which is an excess, or a pregnancy of potential for new meanings. This excess, Morris argues, is temporality itself (212). In chapter ten, we find one of the most peculiar texts of this volume. Ömer Aygün, begins by addressing Merleau-Ponty’s characterizations of binocularity from the Structure of Behavior to his posthumous work The Visible and the Invisible. Later, Aygün contrasts the different modes of existence implicated in binocularity and in the monocular vision of Cyclopes, as described in ancient Greece literature. Fundamentally, Aygün argues that binocularity, for Merleau-Ponty, cannot be grounded on the Cartesian idea of two already given separated (retinal) images that are later unified by consciousness. Neither the physical stimuli nor an act of consciousness are enough to explain its unified nature (223-24). This raises the problem of the integration of two different perspectives unified in the visual experience we habitually have. A more holistic approach to binocularity is taken by Merleau-Ponty as early as the Structure of Behavior, but it is in the Phenomenology that Merleau-Ponty offers an account of this issue in terms of an existential project (225)—that is, in terms of the articulation of the body in light of a particular situations soliciting movement. The synthesis of binocular visual fields is thus reached through the seeing subject’s the being-in-the-world rather than in consciousness. Moreover, the kind of unification represented by this binocularity is more than a synthesis. In the Visible and the Invisible, Merleau-Ponty describes this synthesis as a metamorphosis that expresses the power on perception (perceptual faith) to reveal the world as a unified whole where communication with others is possible (228). This communication, like binocular vision, also entails the ambiguity of two perspectives looking at the same object, but nonetheless engaged in one single project (237). By contrast, for the monocular view of the cyclops, the world is revealed as a sheer positivity (that is, presences without ambiguity) (230). This makes him an isolated being, enclosed in his solipsism, and thereby excluded from the normative domain of law, language and love, characteristic of humans. In chapter eleven, Marrato responds to Levinas criticisms on Merleau-Ponty’s account of alterity. For Levinas, Merleau-Ponty ignores the radical separation between the self and the other (243). Marrato identifies three main lines of criticism. First, Levinas considers that the reversible experience of the body, of touching and being touched, is not equivalent to the experience of touching and being touched by another person’s body. Secondly, he argues that Merleau-Ponty’s account of expression does not highlight the fundamental communicative role of this phenomenon. Finally, Marrato argues, for Levinas, Merleau-Ponty’s focus on visual perception for his philosophical inquiries makes him more concerned with questions about the knowledge of the world than about the ethical engagement with the other (243). In response, Marratto argues that Merleau-Ponty’s account of vision is not the typical theoretical model found in Western philosophy, where the perceiver is detached from the perceived. Instead, vision is an act very similar to touch. But unlike touch, vision is a distancing experience that further emphasizes the inherent depth of the horizons of the world (245). To perceive is, indeed, an active engagement of the body in its response to the solicitations of the environment, Perception, that is, is already an expressive behavior, and the art of painting “prolongs” this power of expression (244). Painting, thereby, does not represent the world but articulates new forms of meaning, a new way to look at the world. Painting, Marratto argues, is already an ethical act since a normative dimension is already present in the very act of expression (246). Expression is achieved when the painter or the seer gives birth to a new meaning—but this meaning is not merely the creation of the painter or the seer. Rather, the visible imposes its own criteria of correctness on the act of expression (246), even as the visible is itself not fully determined in advance (246-47). In this regard, vision opens up to something that is other than itself, questioning and responding through the expressive act of painting and perception. It is in the distance between the question and the response that “the spade of alterity” emerges (247). This space of alterity inhabits the body itself since the reversible act of the hand touching and being touched exhibits a never fully given coincidence within itself (248). A similar account is given across the different modalities of perception (such as vision and touch, 248) and in binocularity (249). Hence the expressive act of perception always involves some degree of alterity. The last part of the book— “Expression”—is comprised of four texts that turn our attention from Merleau-Ponty’s account of perception towards his inquiries into expression and ontology, and lead us beyond the Phenomenology. In chapter twelve, Mathew J. Goodwin explores the notion of aesthetic ideas. Instead of adopting the traditional position, which considers thinking and sensation as two separated realms, Goodwin argues that aesthetic ideas make our perception more profound, by revealing the sensible in “its lining and depth” (253). Goodwin starts by introducing us to the distinction made by Merleau-Ponty (adapted from Leonardo da Vinci) between two different kinds of artistic expressions: prosaic lines and flexuous lines. Prosaic lines aim to define, once and for all, the positive attributes of things, like “an eidetic invariant that is never actually perceived” (257)—namely, it is a mere process of abstraction. By contrast, flexuous lines aim to bring our aesthetic experience toward the very genesis of our perceptual experience, the lived space where things are situated and where they become enacted by our bodily activity. Likewise, an object is drawn “…according to whatever interior forces of development originally brought it into being…”. (258). Thus, it is by revealing this genesis that an artist gives us an aesthetic idea, making visible the usually invisible depth of a thing (258). Goodwin later argues in this chapter that Mata Clark’s sculptural performances are a good instance of these aesthetic ideas. Stefan Kristensen, in chapter thirteen, makes reference to another artist’s work: that of Ana Mendieta. He argues that phenomenal space and the ontological notion of the flesh in Merleau-Ponty entail the phenomenon of mourning. Phenomenal Space or depth are concepts that redefine our traditional notions of space and time (273). Instead of conceiving space and time as already given dimensions where objects and events are juxtaposed and mutually excluded, depth is the dimension where they are seen to encroach upon one another (273). Kristensen is especially interested in the phenomenon of mourning as it is implicated in the temporal dimension of depth (275). Merleau-Ponty describes our experience of the world as involving not only its presence, but also its past. This past is not the discovery of a pre-existence, but the formation of something “that appears as having already been there” (276). Hence when we understand, for instance, a sentence or perceptual gestalt, we make a “backwards movement.” Likewise, the meaning of an utterance or a picture is given only afterwards (276). For perception, it is the structure of the body schema that establishes the “ground of praxis” for individuals’ action and perception (277). However, this foundational dimension of the body represents the already-being-there of the body, its past that cannot be seen but afterwards (278). Mourning, then, is the process of restructuring bodily spatiality (279) insofar as it is a process that set us free from the past, allowing us to become newly instituted in the present. Nonetheless, the divergence of the body from itself is a process of loss, through which the subject of perception has already vanished even before they try to look at themself. Ana Mendieta’s work, for Kristensen, exhibits the intertwining of presence and absence that make manifest the overlapped temporality of the body and space where the past (that has never been present) and the present (enacted by the presence of the past) converge (280). In chapter fourteen, Peter Costello reveals the political dimension of the ontological descriptions of the flesh in Merleau-Ponty’s late philosophy. The immersion of the body in the world, becoming part of the flesh (the ontological basis of meaning) exhibits its dual form of appearance as seeing and being seen. This phenomenon, for Costello, is analogous to the Aristotelian affirmation that democracy requires the capacity of citizens to govern and being governed (285). The flesh is also defined as the “formative medium of the object and the subject” (285), and represents the prior dimension of that traditional dichotomy. Moreover, the immersion of the body in the flesh involves the interrelation of the body with multiple (anonymous) other bodies, and thus has an intercorporeal aspect to it (285). This means that the flesh enables an anonymous dimension of visibility (286), like the space of the intertwining with other people—that is, the public space where we are always already interrelated one each other. Nevertheless, the full access to this public space involves our explicit engagement in it, by mutually caring for one another so as to create a community (288). In this regard, Costello considers that for Merleau-Ponty, Cézanne incarnates the democratic nature of the flesh in his paintings by considering color not as an already given property of things (292)—what Cézanne calls “the tyranny over color”—but as symptomatic of the relational space of things and the body, where colors emerge as a spontaneous organization (ibid) only insofar as we participate in their visibility. This makes the observers part of the enactment of colors in Cézanne’s paintings, thereby introducing us to the public space in which things, the painter, and the observer are intertwined in the visual experience (296). The volume ends with an exquisite text from Laura McMahon, where phenomenology is described as (the reflection on) first order perception. McMahon begins her argument by distinguishing between first- and second-order expression. For Merleau-Ponty, a thought or an idea cannot be given before its linguistic expression since it is in the process of its concrete articulation in language that thought become explicit for the thinker themself, and for the others. Consequently, it is in the moment of speaking or writing that thoughts acquire their particular meaning, their existence (310). However, linguistic expression involves two possibilities: the banal enunciation of already given meanings in second-order speech; and the first-order speech that involves the first-time enunciation of a meaningful utterance, such as when children first begin speaking, or when a poet or philosopher opens a new field of meaning or “world” (314). The institution of a new meaning, therefore, does not constrain the individual to expressing themself through the already given network of significations of the human world, but allows them to break the “primordial silence” of the world (315) by enacting new manners of experiencing it. Expression, nonetheless, is not limited to human speech, since perception is already an expressive act that maintains a “creative dialogue with the things of the world” (316); perception itself is a “nascent logos” (ibid.). The meaningful wholes of perception (Gestalten) are the analogous unities of meaning to sentences in speech (317). In here, McMahon argues, it is also possible to find a second order of perception where things appear as already made objects, fully given in advance to our encounter, as if our own presence were irrelevant for their appearance. This second-order perception describes the experience of the world in a natural or unreflective attitude (320). By contrast, first order perception looks at the very genesis of things: the lived space where we, as perceivers, are already involved in the genesis of the appearance of things. In this regard, the act of perception looks at itself, and not only at what is perceived (321). This kind of self-perception leads Merleau-Ponty in the Visible and the Invisible to talk about what he calls radical reflection. This kind of reflection uncovers its own roots (322), by revealing the genesis of signification in the already given meaning of things. The implicit order of the world experience in second-order perception and in second-order reflection is best carried out by “positive” scientific thought (323). By contrast, the task of radical reflection, analyzing first-order perception, is the task of phenomenology itself. (324). At the end of the introduction (18-19), the editors mention two important aspects of what they hope this book will achieve. One is to use this book as a companion for the Phenomenology; another is to treat Merleau-Pontian phenomenology as a practice rather than an object. In terms of the first target, I believe the success of this book depends on the degree of Merleau-Pontian expertise that reader brings to their reading. The novice reader may find the multiple terms and metaphors used by the authors, corresponding to different periods of Merleau-Ponty’s philosophy, confusing. Furthermore, a semantic promiscuity is pervasive across the different chapters, and readers might get confused by the multiple names used to refer to what seems to be the same concept, or at least concepts more closely linked than any author lets on (e.g. lived space, phenomenal space, depth and flesh). 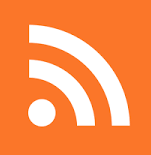 Without a further clarification, it is not clear if these terms are used as synonyms or if a nuanced sense is developed through the use of each term. By contrast, for someone already immersed in the vocabulary and general ideas of the Phenomenology, the use of this book as a companion piece will help them deepen their reading of the Phenomenology, explore Merleau-Ponty’s later philosophy, and track the development of certain concepts. In respect of the second purpose, I find this volume undoubtedly successful. The fresh approach to the subject of perception that incorporates Merleau-Ponty’s late thought, as well as topics of more immediate, contemporary philosophical concern, avoids the repetitive enunciation of the concepts that one can already find in other companions to the Phenomenology. In conclusion, the works bound in Perception and its Development in Merleau-Ponty’s Phenomenology certainly open new possibilities for our practice of reading Merleau-Ponty’s philosophy, and for the use of his ideas in addressing contemporary concerns. The Structure of Behavior. Trans. Fisher, Alden L. Vol. 3: Beacon Press Boston, 1942/1967. Print. Phenomenology of Perception. Trans. Landes, Donald A. New York, NY: Routledge, 1945/2012. Print. The Visible and the Invisible: Followed by Working Notes. Northwestern University Press, 1964/1968. Print. The Primacy of Perception: And Other Essays on Phenomenological Psychology, the Philosophy of Art, History, and Politics. Northwestern University Press, 1964. Print. Institution and Passivity: Course Notes at the College De France (1954-1955). Evanston, IL: Northwestern University Press, 2003/2010. Print. This book is the first English-language translation of Alloa’s 2008 text, which originally appeared in French under the title La résistance du sensible: Merleau-Ponty critique de la transparence. Emmanuel Alloa is a student of the prominent Merleau-Ponty scholar Renaud Barbaras, and an occasional editor of Chiasmi, the leading journal for Merleau-Ponty studies. Although the length of its body chapters comes in under 100 pages, this book is less of a standard introduction to Merleau-Ponty than a dense thematic, historical study of key issues figuring into the philosopher’s development from the early works up the unfinished texts in progress at the time of his death. The three principal chapters analyze the transformation and interior narrative of Merleau-Ponty’s thought across the three subjects that figure foremost in his legacy. Chapter One examines the notion of perception in the context of the early texts The Structure of Behavior and Phenomenology of Perception. The second chapter takes up Merleau-Ponty’s conception of language, with particular attention to the essays in the middle-period Signs and the abandoned work The Prose of the World. The third chapter, entitled “Ontology of the Visible,” studies Merleau-Ponty’s late attempts to formulate a phenomenological ontology centered in the visible and sensible. The book does not cover any aspects of Merleau-Ponty’s political or social philosophy. Throughout, Alloa discusses in depth the philosopher’s engagement with numerous influences and contemporaries including Husserl, Sartre, Fink, and Saussure. Methodological emphasis is likewise placed on the genesis behind Merleau-Ponty’s shaping of central concepts and terms. Alloa’s statements in the Introduction of the book provide an overview of how he understands the core idea of Merleau-Ponty’s thought: while perception is ultimately the philosophical concept that overtly engaged Merleau-Ponty, it is the resistance of the sensible that the philosopher actually grappled with. By this notion of resistance, Alloa indicates that the sensible is what is obvious to perception, yet which cannot be penetrated by analysis (5-7). In highlighting the concept of the “obvious,” (or ob-vious) Alloa refers to what is in front of one and standing against one. For the sensible characterizes not merely what perception encounters, but also the experiential world as a whole (7). In Alloa’s view, this is decisive for Merleau-Ponty’s work because it provides a more focused approach than Husserl’s epistemological project of uncovering the conditions of knowledge. As Alloa sees it, Merleau-Ponty’s fundamental insight in this regard is recognizing that what is sensible, what is in front of one, resists; it is not transparent and never will be so. (In making this observation, Alloa is cueing upon the important difference Merleau-Ponty demonstrated from Husserl early in his career: the view, contra Husserl, that a complete reduction is never possible.) As Alloa observes on this score, treating the sensible as the entry point for philosophy is a more tangible and direct method than Husserl’s approach of beginning phenomenological description with the structures of consciousness. Moreover, Alloa suggests that for Merleau-Ponty, the perspectival limit of perception characterizes the essence of philosophizing as well, viz., to philosophize means to grapple with what resists and refuses transparency. This consequence results because thought is by nature also conditioned by the sensible; thinking is permeated by vision, and vice versa. Therefore, to return to the things themselves, as is phenomenology’s mantra, entails thought becoming sensible (9, 11). In the book’s first chapter, Alloa sets up the premises of Merleau-Ponty’s early studies on perception. He suggests that the first two major works, The Structure of Behavior and Phenomenology of Perception, are of a piece insofar as the former attempts to show why a phenomenological account of experience cannot be reduced to a behavioral psychology, while the latter describes the phenomenology of sense experience in a positive fashion (16-17). 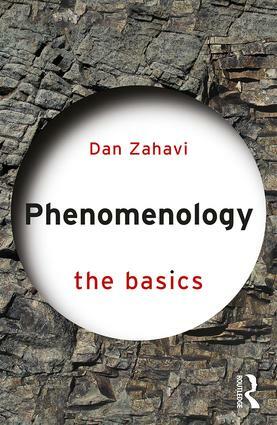 Structure describes human perception critically, from the outside looking in, whereas the Phenomenology is written with an emphasis on the first-person perspective of sense experience. Alloa sees here not so much a tension in approaches as much as Merleau-Ponty’s developing recognition of a conflict between body and soul; the concept of behavior comprises the locus for Merleau-Ponty’s insight that sense experience is contingent on the milieu of the living being, which Alloa later identifies as the body (24). The phenomenon of behavior reveals an unnoticed synthesis of inner and outer, mind and body, such that this concept is seen as operative prior to any sort of dualism, yet not transparent to perception either. To parse Alloa’s claim here just a bit, the notion is perhaps not unlike Heidegger’s observation in Being and Time that to be a Dasein entails already existing in a world of immediate surroundings where things have their essence in their use; Dasein is neither an inner nor outer, but instead projective being-in-the-world. Alloa sees a link between Structure and the Phenomenology in Merleau-Ponty’s implicit emphasis on the opacification of perception, or the notion that perception is underwritten by a lack of transparency. Alloa similarly regards Merleau-Ponty’s career-long dialogue with Gestalt psychology as having its seeds in these early works. For Merleau-Ponty, the concept of Gestalt is decisive for highlighting the world’s very appearing as structured (20), where perceptual consciousness is the “site” of this emergence. The forms of the ready-made world of experience are not merely in the world, but emerge with the world. For similar reasons, the mind-body relationship is not an instrumental one. This observation brings to the fore the concept of “milieu”, which Alloa regards as a cornerstone of Merleau-Ponty’s early development. The mind-body relation is founded on embeddedness in a milieu, where phenomenology entails describing an inventory of that milieu (20). Yet Alloa highlights that Gestalt psychology in its traditional guise is insufficient for Merleau-Ponty because it fails to adopt a way of thinking about life; Gestalt psychology overlooks the dialectic between the living thing and its milieu, failing to recognize the dynamic identity of the physical and mental structures of experience (22-23). The milieu comprised by embodiment functions as Merleau-Ponty’s corrective to the shortcomings of Gestalt psychology and scientific mechanism, for embodiment comprises the union of life and environment. The topic of transcendence takes Alloa into Chapter Two. Alloa suggests that Merleau-Ponty’s engagement with language during and after the early works epitomizes his effort to describe the unity of bodily movement and creative freedom (38). “When the subject is collapsed to its corporeal condition alone, there is no longer any possibility of explaining how one moves beyond oneself” (33). Transcendence, Alloa writes, is for Merleau-Ponty less important in the manner of establishing a new notion of epistemological or metaphysical foundation; more important in Merleau-Ponty’s view is the very act of transcending. The act of transcending is coextensive with the opacity of the world (33). Citing the Phenomenology, Alloa observes that an a priori ecstasy of the human subject orients one fundamentally toward this opacity, toward what one is not (33). The first section of Chapter Two, entitled “Expression,” suggests that human expression for Merleau-Ponty comprises the extension of idealization or intellect into the embodied state. Human movement is not merely a bodily activity but includes gesture (35). In this light, following the Phenomenology, the body is the actuality of expression and represents the movement of expression (35). As a result, language for Merleau-Ponty is forever to be subordinated to the phenomenon of expression as bodily act (39), which is to say, Merleau-Ponty does not endorse a pure grammar or universal linguistics. Whereas, these are notions that for instance would be familiar to readers of Husserl’s Logical Investigations. Moreover, Alloa highlights that the diacritical character of language, which Merleau-Ponty adopts from Saussure, further justifies the claim that language can never be made pure or universal. Citing the abandoned text The Prose of the World, Alloa highlights that this character of language means signs, morphemes, and words only convey meaning in their assembly; language constitutes the practice of discriminating signs from one another. And given language’s origin in the embodied state, these features have a coextension with the sensible. Language’s diacritical character “will acquire the value of a perceptible interval forming a pattern on the sensible fabric itself” (45). Yet, the transparency of language in human experience also reveals its resistance, echoing Alloa’s leading claim at the book’s start. Namely, like the sensible, language’s character is to efface itself through its very transparency (51). Alloa finishes this chapter by taking up the lines of questioning that permeate Merleau-Ponty’s middle works, especially Signs, Prose of the World, and the Nature lectures, on the issue of exactly where language resides. Language does not reside in mere signs, symbols, or words, nor does it reside in meaning. Where does language have its being? Alloa sketches Merleau-Ponty’s position this way: “We must place ourselves at the very site of language in the process of making itself – between the given and what makes possible the act of giving – without conceiving of Saying on the basis of the already Said but also without relegating language to a sphere of pure potentiality, without isolating an abstract linguistic structure of yielding entirely to a completed embodiment in a concrete signifying formula” (53). In brief, as Alloa describes it, the meeting of embodiment and linguistic signs requires one to describe the immaterial but not simply ideal birth of sense-making (53). Alloa finds that painting for Merleau-Ponty provides one such avenue, to the extent that it comprises a “silent” form of expression, originative in the bodily gesture of the hand, yet also indicative of a verbal lack of mastery of the world and the world’s means of expression. As such, painting exemplifies the birth of sense-making. “The painter’s canvas becomes the site of an experience of relinquishment, an exposure to an outside where the protective envelope of everyday language disintegrates” (55-56). 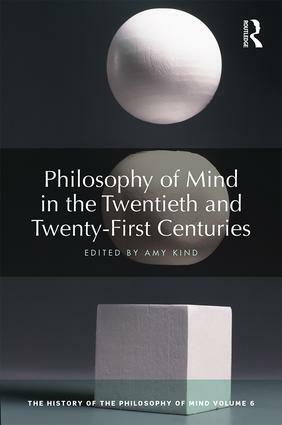 The third and final chapter offers a focused account of the genesis leading to Merleau-Ponty’s late philosophy, particularly his interest in developing an “ontology of the visible.” Texts of especial importance are the philosopher’s final published work “Eye and Mind” and the posthumously edited Visible and Invisible. In Alloa’s description, this late period of the philosopher engages the question of how something can be given to one as visible, and of how words can function to describe this occurrence (60). Merleau-Ponty’s task during this period is to uncover the roots of the visible. Again, painting is decisive because the thought-process shown in work of masters such as Cezanne reveals the visible as resistance to transparency. Alloa characterizes the philosopher’s stance this way: “Thinking as a painter means submitting to the laws of resistance and experiencing feelings within the limits of the sensible” (61). The ontology of painting consequently affords Merleau-Ponty an entry point into the ontology of the visible not by way of what is seen, but by way of what is becoming-seen, becoming-visible (64). This last brings Alloa to the crux of Merleau-Ponty’s concept of “flesh.” Because art has its essence not in works but rather in realizing the sensible bonds of experience and world, art helps to instantiate the “flesh” binding the world and human being (65). Given that “flesh” is an obscure concept in Merleau-Ponty, difficult to pin down precisely, Alloa devotes significant discussion to it. Flesh is not a physical or atomistic substantial presence (which may be implied in Merleau-Ponty’s characterization of it in Visible as an element) but it is materially immanent in the sensible (65). Yet flesh is not to be understood as a Leibnizian monad, transposing the principles of life onto nonliving materiality. 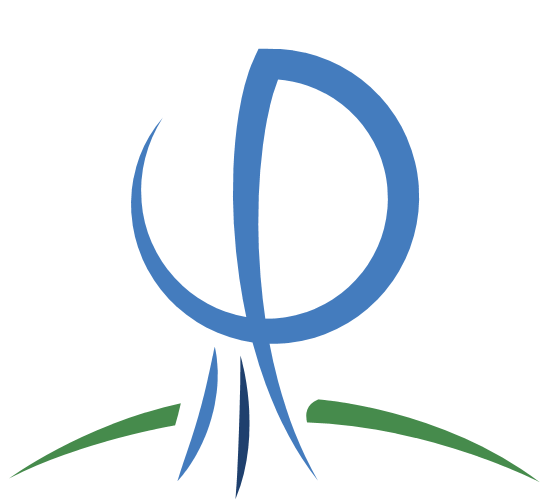 Alloa cites an unpublished note written by the philosopher in 1960 to the effect that the flesh of the world is not derivative from an understanding of the flesh of the body (67). Rather, the human body we know is made of this very flesh of the world. But again, one can ask, what is flesh and where does it come from? Alloa concedes that Merleau-Ponty’s position on this issue could be ambivalent at best, given that the philosopher was still exploring this question at the time of his death. One compromise, Alloa suggests, is to follow a clue from the Nature lectures, namely Merleau-Ponty’s remark that the sensible is the flesh of the world. In other words, the sensible is the bond uniting experience and world, inner and outer, just insofar as it emerges in the interstices of the subjective and objective, not lying in just one or the other. On the other hand, Alloa also suggests that the more ambiguous “flesh” perhaps better expresses what is neither subjective nor objective, but beyond these, that through which something sensible is sensed (68). Alloa’s meaning seems to be something like the following: the sensation I experience through touching an object such as a pine cone is not merely fostered through my hand’s affectivity nor through the pine cone’s sensible characteristics (e.g. prickly, resinous, woody). Rather, this experience have of the sensible is fostered by a “between” that allows sensible and sensing to meet. I find Alloa’s discussion of flesh to be especially helpful and an illuminating part of the book. Alloa rounds out the final chapter with some reflections on the underlying commitments of Merleau-Ponty’s ontology of the sensible. Alloa writes that Merleau-Ponty’s theory of perception must become an ontology of the sensible because this is the only way to obviate dualism. And conversely, the sensible must be the seat of ontology because the sensible is the ultimate ground of experience, the medium in which being inheres without needing to be posited (80). Here, Alloa’s characterization of the sensible is not unlike Heidegger’s observations that being in its guise of ereignis comprises the groundless ground. For Merleau-Ponty, the sensible is the ultimate, yet ungrounded given. In summary, this short but dense book by Emmanuel Alloa is a challenging read. It is also a rewarding one for those willing to do the work to digest carefully his many insightful observations on Merleau-Ponty’s thought and development. Alloa makes a very good case for the notion that despite Merleau-Ponty’s stops and starts with various issues, there is nonetheless a guiding thread to his thought’s development. To be truthful, however, there is an aspect in which this book is frustrating to use as an “introduction” to the philosopher, just because it is written at an astute historiographical level, not one for beginners. One might wonder why the book’s title was altered for this English-language edition. Alloa does not provide extensive exegetical readings of any specific books of Merleau-Ponty, opting instead for frequent citations of one or two lines of text, whose meaning Alloa typically takes as self-evident. There is a measure in which these frequent citations seem taken out of context or otherwise lacking in justification for the lay reader. There is also a noticeable dearth of examples that might help to illustrate for a novice what is at stake in crucial distinctions. This is a book that will much better serve those who are already decently versed in Merleau-Ponty and who possess a workable understanding of at least some of Merleau-Ponty’s key themes. To that end, Alloa’s book will offer potential as a guide for connecting the various topics in Merleau-Ponty’s works and establishing a beginning-to-end narrative.